A must-have for every shopping trip! Don’t add plastic waste to the landfills, use our washable mesh polyester Reusable Produce Bags. They take you from the produce aisle to the refrigerator drawer. Strong enough to carry a full load of fresh fruits and veggies. Best of all, they’re non-leaching and non-toxic, so your food stays fresh and pure! Fresh produce is always the best option when providing nutrition for your family, but those plastic bags you put it in at the store are a problem. 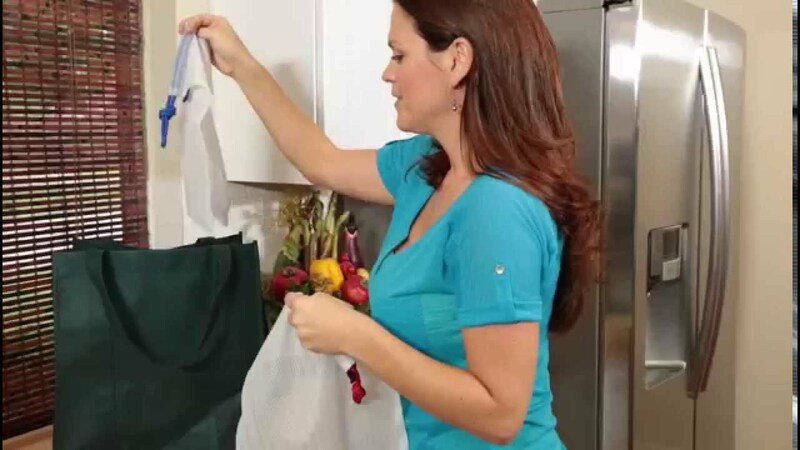 Being single-use and hard to recycle, these plastic bags ultimately add to the problem of over-loaded landfills. Even worse, they often contain harmful chemicals like BPA, phthalates and other plasticisers that can leach into your food. Our Reusable Produce Bags mean less rubbish in the landfill and fewer chemicals in your body and your home. In addition, they are very strong and durable, so you can use them over and over again! Take on shopping trips to the grocery store or farmer’s market to carry fresh fruits and vegetables home. Produce can be weighed and scanned without having to remove it from the bag. Also great for carrying meats, bulk items and other groceries. Perfect for helping children stay organised! Give each child their own colour to transport toys, treasures and other essentials. Rinse and air dry. Also machine-washable. • Reduce waste by eliminating single-use plastic produce bags—landfills and oceans stay cleaner! • Produce can be scanned and weighed inside the bags. • Colourful red, green and blue drawstrings ensure produce doesn’t spill out. • Strong mesh weave allows you to wash, rinse and store produce right in the bag! Using all three Reusable Produce Bags once a week saves more than 150 paper or plastic bags from being added to the landfill every year.